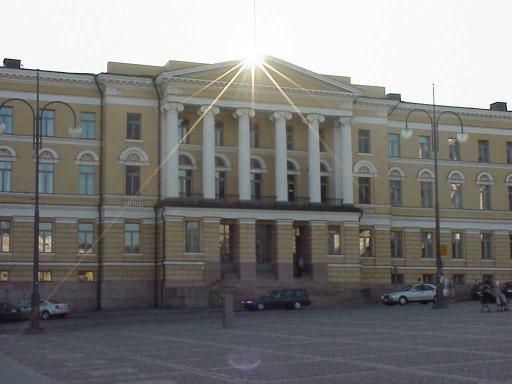 The University of Helsinki has kindly offered us a reception at the University Main Building, on Senate Square, entrance at Unioninkatu 34 (second floor). 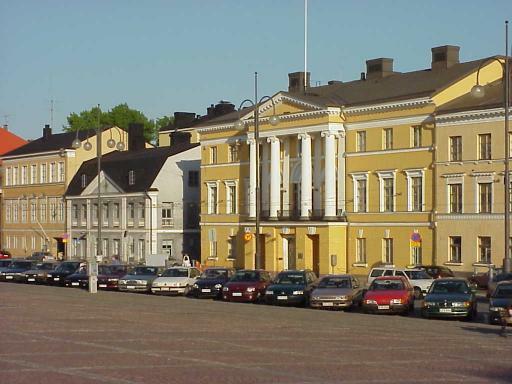 The City of Helsinki has kindly offered us a reception at the Old Court House, on Senate Square, entrance at Aleksanterinkatu 20. Excursion and conference dinner: Cruise to Suomenlinna. 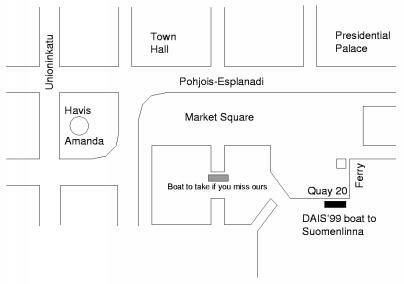 Departure for a one hour cruise is from the Market Square (near the Suomenlinna ferries and the Presidential Palace). The cruise will take you through the beautiful archipelago to Suomenlinna, the biggest sea fortress in Scandinavia. The dinner is served in restaurant Walhalla on the island Kustaanmiekka. If you miss the cruise, you can take public transportation to Suomenlinna, and still join us in time for dinner. At least inofficial get-togethers will be organized, but also, a tentative program has been planned. Initial get-together will be organized on Monday, June 28, 10 o'clock at the conference site at the Department of Computer Science, University of Helsinki, Teollisuuskatu 23 in room D413 (speaker room). . This tour will take you to the beautiful medieval Hansa town Tallinn, the capital of the Republic of Estonia. The departure is 7:30 by catamaran boat from Helsinki to Tallinn. Arrival in Tallinn at 9:10. Your sightseeing tour in Tallinn includes the most interesting sights of the city, e.g. the Toompean hill, the Cathedral and the charming Old Town. Departure from Tallinn at 20:00, arrival in Helsinki at 21:40. The price of 400 FIM (67,27 EUR) includes transportation and sightseeing tour in Tallinn with an English speaking local guide. No meals are included. Estonian currency is Estonian 'kroon' (1 EUR = 15-16 EEK). You can change money in Finland (for example FOREX) or in Tallinn either in the harbour or in the town. A valid passport is required on this cruise. Citizens of some countries need a visa for Estonia. So please make sure well beforehand whether you need a visa (http://www.vm.ee/eng/index.html -> Consular Information -> Who Requires a visa to come to Estonia)! Upon reservation and payment the Area Congress Team will provide the participants with instructions. Full name, date of birth and nationality of participants are required for the passenger list. The operation and prices of the cruise to Tallinn are conditional on provision of transport and services by the contractors. The rate and timetable quoted are subject to change. In case of cancellation of the cruise by the participant a written notification should be sent to AREA Congress Team. Full refund, less expenses FIM 50 will be made for cancellation received by 20 May, 1999. After that date no refund can be guaranteed.